SHIBU ONSEN | G'Day Japan! Shibu Onsen is a quaint hot spring town in Nagano Prefecture that opens up behind a curtain of steam, revealing traditions and architecture of years passed, still standing tall and proud. The town’s original spring-head was discovered some 1,300 years ago by a monk named Gyoki, who also discovered a number of other famous hot springs in the area. Takeda Shingen, one of the most powerful warlords of sixteenth-century Japan, was another instrumental figure in the history of Shibu Onsen. During the construction of a military road through the area, the commander was astounded by the healing properties of the Shibu Onsen spring water, and sent wounded soldiers there for treatment. His influence on the town’s development was strong, and tales from this period live on today through artefacts and documents at the local temple. From then on, Shibu Onsen became established as a postal town between Zenko-ji, a major Buddhist temple in Nagano, and Kusatsu – another of the prefecture’s famous onsen towns. Some hot spring inns, or ryokans, were established in Shibu Onsen even before then, one of which is Kanagu-ya, a 250 year-old ryokan. Over this historically rich span of 1,300 years, Shibu Onsen has experienced many natural disasters, from fires to landslides. Despite this, the love and passion of its people have seen it rebuilt as many times; large-scale renovations took place between the late nineteenth and early twentieth centuries, and have shaped the look of Shibu Onsen today. The town site itself remains small and welcoming; it takes about ten minutes to walk from one end to the other, along with its short, stone-tiled streets, which are lined with beautiful wooden buildings, home to 150 families, as well as 35 accommodation facilities and other businesses. 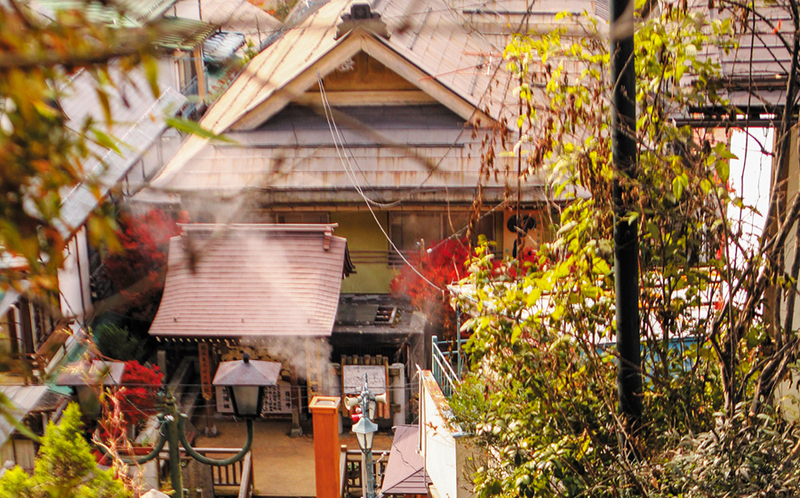 The local people are another of Shibu Onsen’s many charms. Ever friendly by nature, their tradition of hospitality has been passed down from the postal town days of Shibu Onsen, when it received regular visits from out-of-towners. They love a chat, and sharing stories about the area and their passions. There are many businesses in the area that are devoted to superb hospitality, such as coffee shops that have been in business for 50 years, and gift shops, which open at 7 am and close at 10 pm. Shibu Onsen would not have survived 1,300 years without the spirit of its people. ‘Otennma’ is a Shibu Onsen word that expresses their communal spirit of ‘taking care of our own, with our own power’. Each member of the community has a sense of responsibility and love for their home town, which motivates them to maintain and share it with pride. 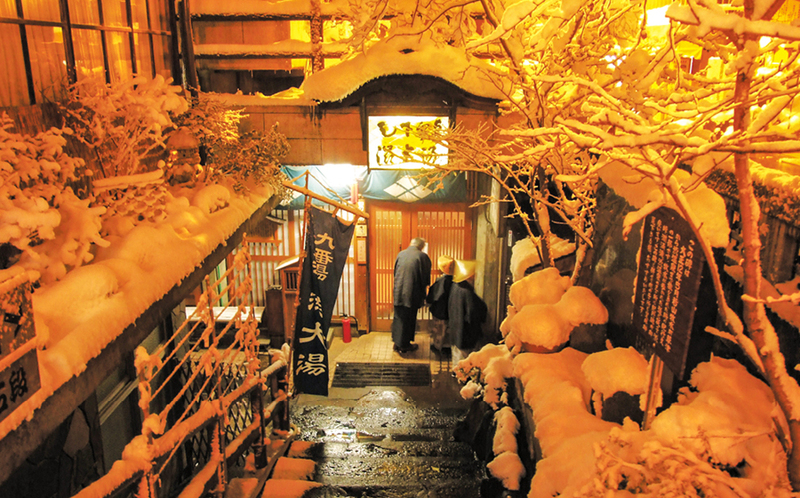 It’s the ‘Otennma’ spirit that makes Shibu Onsen a superb place to stay during a snow holiday. The village is also just next door to the 1.6-kilometre nature trail to Jigokudani Monkey Park, where the snow monkeys welcome visitors throughout the year – a visit is a great add-on to the walk around town during your stay. 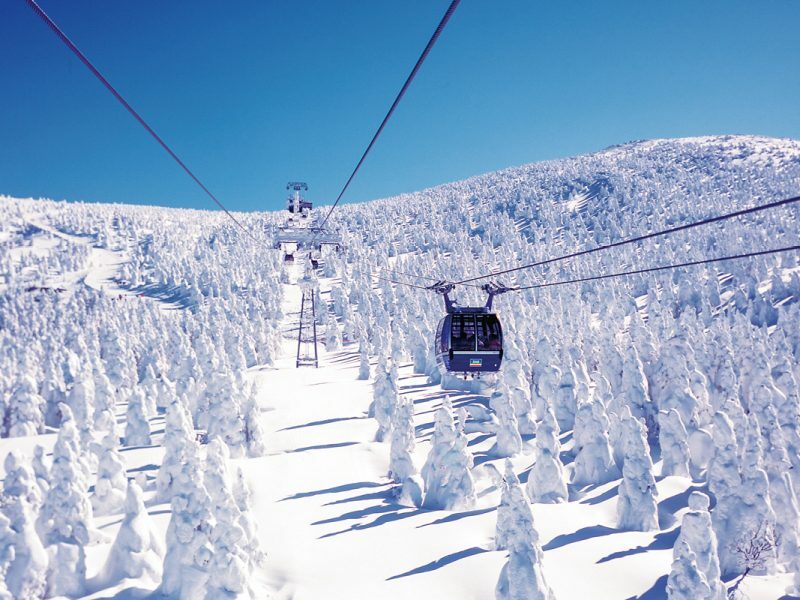 If the snow and skiing or snowboarding is your passion, Shiga Kogen is a 25 to 40-minute drive away. 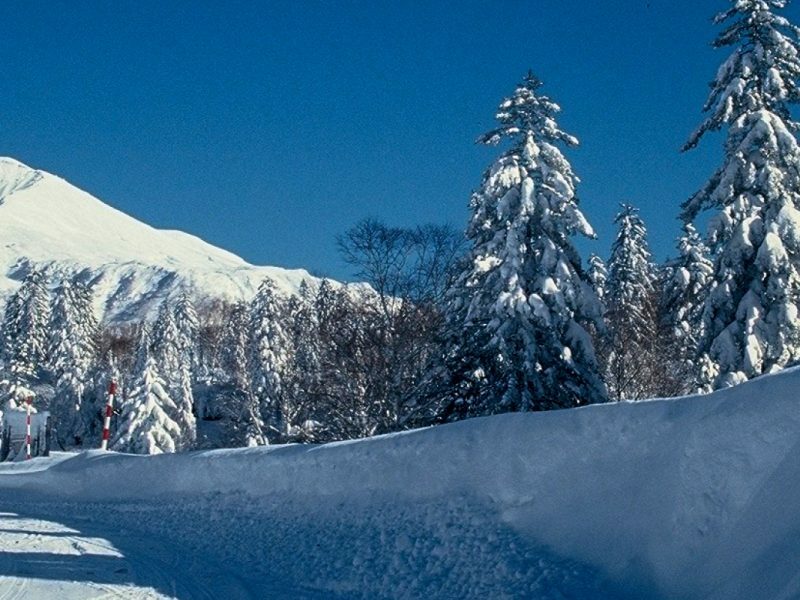 Imagine finishing up a day of carving up the powder snow then returning to a town full of gorgeous locally sourced Japanese food, healing and rejuvenating baths and the prospect of meeting and drinking with the locals. Needless to say, this is exactly the kind of cosy, authentic Japanese holiday you can experience in the charming hot spring town of Shibu Onsen. The pièce de résistance of Shibu Onsen is of course Shibu Onsen itself – the hot spring that supplies 100 per cent pure natural spring water to the baths found across town. Its various hotels and hot spring inns, or ryokans, source their water from 37 spring-heads, and the locals joke that it’s as if there’s hot water wherever you dig in Shibu Onsen. In keeping with its picturesque, samurai-era townscape, old traditions and common courtesies remain prominent in Shibu Onsen – one of these being that the locals bathe at its ‘soto-yu’ (public shared baths) on a daily basis. There are nine soto- yu baths, and the locals have their own keys to them. They are allowed to bring in their own soaps and bathing goods, however, visitors are not, and are requested to make use of the baths in their hotels and inns for all general bathing routines. By staying at local accommodation in Shibu Onsen, visitors receive a guest key to the nine soto-yu baths; day-trippers can only gain access to one of these, the ‘yu’. One-day tickets to this bath are available for ¥500 at the Shibu Onsen Ryokan Association office, or the Shibu Onsen parking lot. To miss out on an overnight stay in Shibu Onsen though, is almost like going to Disneyland and just seeing the gates. 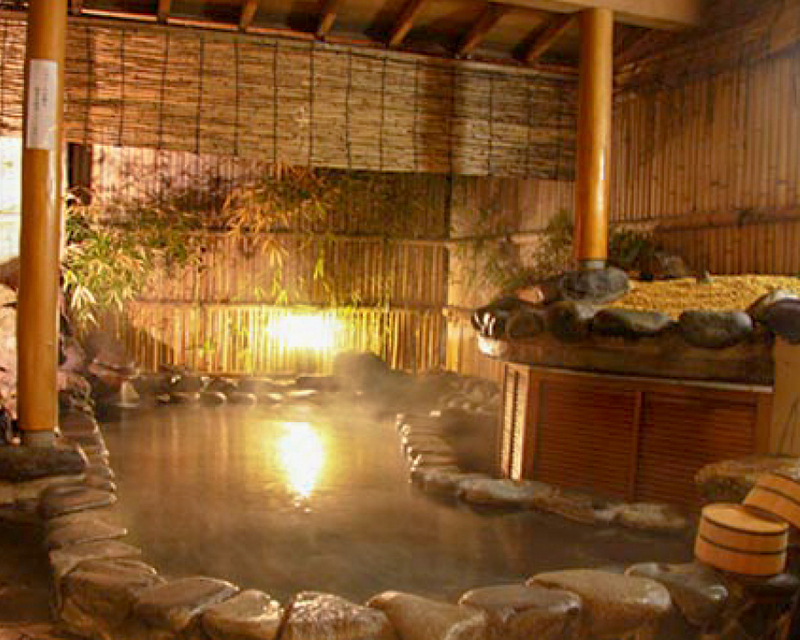 There are 35 ryokan inns and hotels in town, and they all have hot spring baths. Some get their water from multiple sources, and many have a variety of baths that all differ in size, style and purpose. The ryokans offer private baths for families, couples and others, but the authentic hot spring experience is to share a bath with strangers. The baths are the best place to get to know the locals of Shibu Onsen and learn about the area – a great way to experience the town’s traditional culture. Both the soto-yu and ryokan baths use a ‘kake-nagashi’ system, where hot water continuously flows from the spring, filling the bath non-stop. Older water overflows, so there’s always fresh hot water coming into the baths. The baths at the ryokans are managed so the temperature is agreeable for everyone, but the soto-yu baths are not. Some locals and visitors do adjust the water temperature while they bathe, but the water temperature can get insanely hot; The original temperature of the spring can range anywhere from 60°C to 90°C. Enjoying this very hot, hot spring town can’t be done without the nine-bath tour, or the ‘Ku-to Meguri’. The tour includes the nine soto-yu baths of Shibu Onsen, one after the other, and is a truly cleansing experience exclusive to visitors in town. 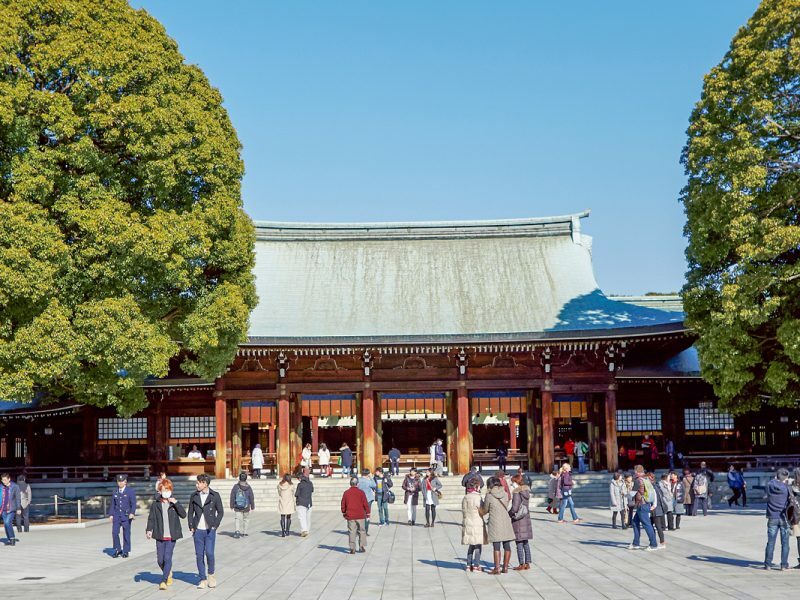 To begin the tour, it’s important to get into the right gear; put on a yukata – the light kimono which you can also sleep in – and a pair of geta – wooden sandals. 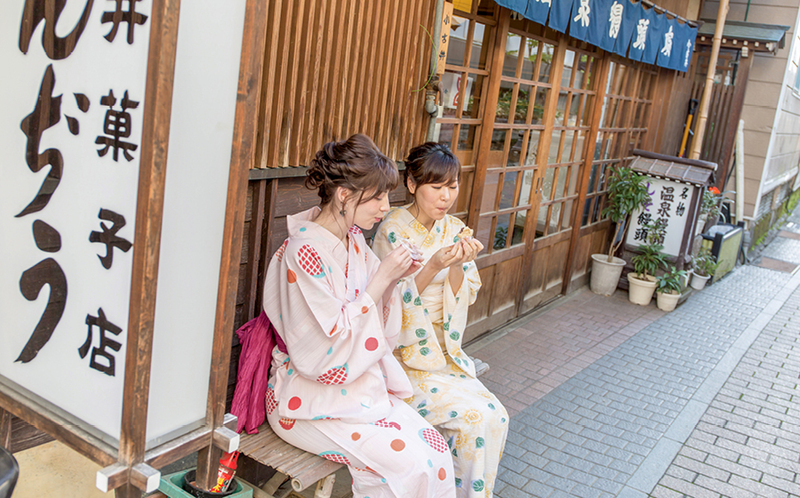 Shibu Onsen allows visitors and locals to walk around in yukata, a special highlight of staying at an old hot spring town like this. All you need to start the tour is the guest key from your chosen accommodation, a towel, and perhaps some change for an official ‘tenugui’ towel of the tour – as there are no lockers at the soto-yu baths. 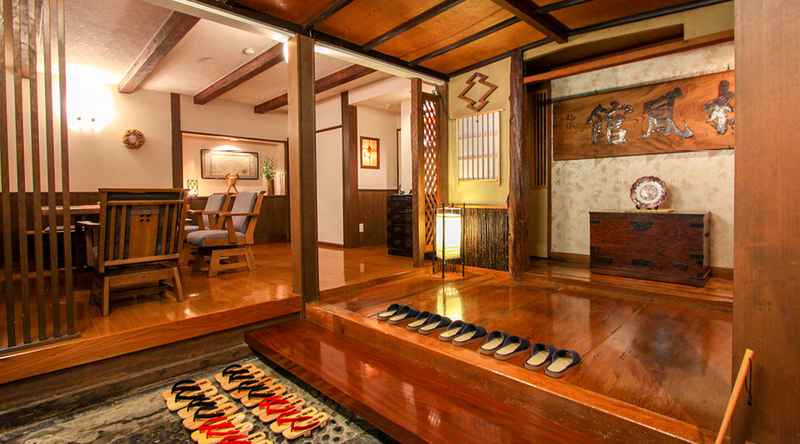 A fun tour item sold at the ryokans in town, visitors stamp their tenugui at each of the soto-yu baths upon entry. 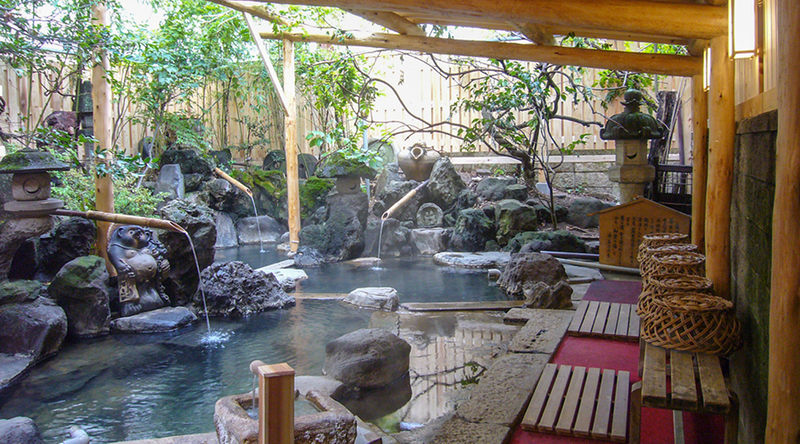 Every hot spring in Shibu Onsen, including the nine soto-yu, has a variety of healing properties. For example, the third bath on the tour, the ‘bath of cotton’, is said to have healing properties specifically for cuts and for fertility. Bath number six is called the ‘eye washing bath’, and is accordingly believed to be beneficial for eye health. The baths are situated every 50 metres or so, within 600 metres of each other, so the duration of the tour depends on how long you spend at each bath. After the last bath on the tour, the Oyu bath, the traditional thing to do is to head over to the Shibutaka Yakushi Shrine, and offer your towel as a sign of completion of the tour, and to wish for wellness; however, it does make for a great memento of your time in Shibu Onsen. The locals of the town call themselves lifetime citizens, and refer to visitors as one-time citizens. To be considered a citizen for any amount of time at Shibu Onsen is an honour, and having access to their hot springs is a true privilege. Jigokudani Yaen Ken, also known and loved as Jigokudani Monkey Park, is located close to Shibu Onsen, and is home to Japan’s famous snow monkeys. To see these adorable critters lolling about together in a steaming natural hot spring, just take the 1.6-kilometre stroll along the area’s beautiful Yumichi nature trail, a promenade of seasonal colour. Although Jigokudani Monkey Park is connected to Shibu Onsen by road, this trail becomes the only way to visit during the heavy snows of winter; buses operate throughout the year from Shibu Onsen to the trail-head at Kanbayashi Onsen, less than 15 minutes away. 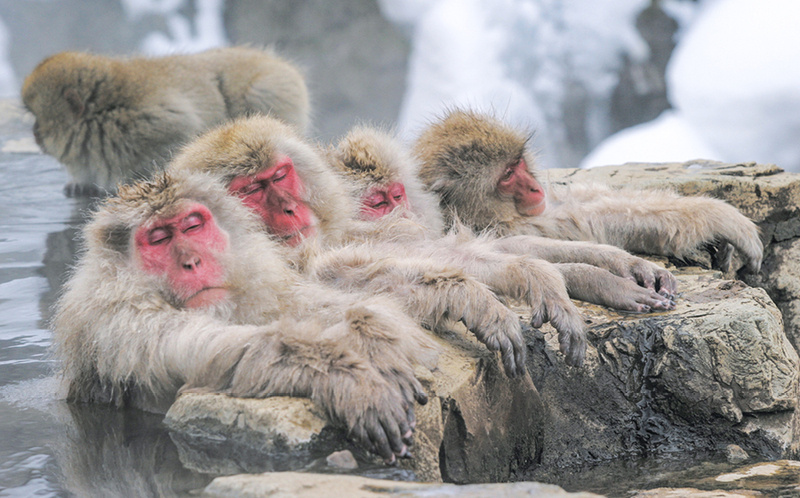 Jigokudani Monkey Park is all about observing the snow monkeys in their most natural, relaxed state. No feeding is allowed, but the monkeys do come down for the small, supplemental amount of healthy and balanced food the park puts out for them, which reassures the monkeys that humans are not a threat to them. 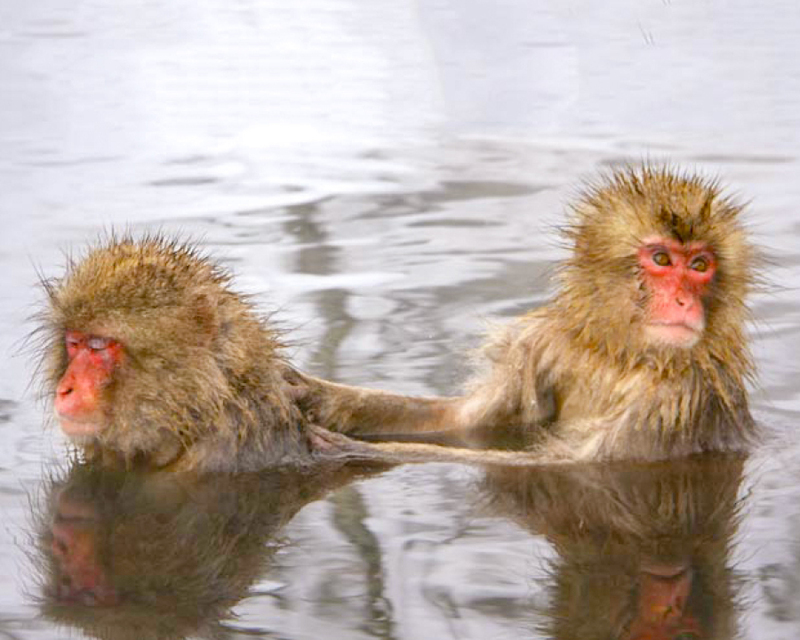 The snow monkeys are just like humans in the winter season – they can’t resist a good soak in the hot springs. Watching them make faces that express complete bliss and relaxation is a very heart-warming, very human experience. 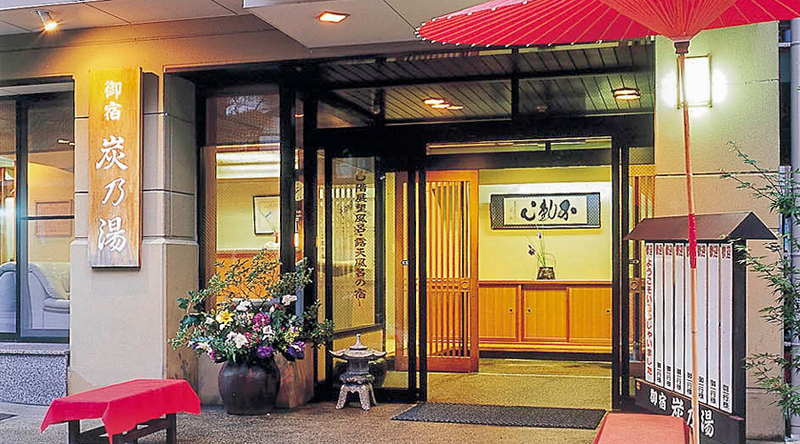 Kokuya Hotel Nagano in the superbly traditional Japanese village of Shibu Onsen is steeped in history. The same family have been operating through sixteen generations over the course of 400 years. 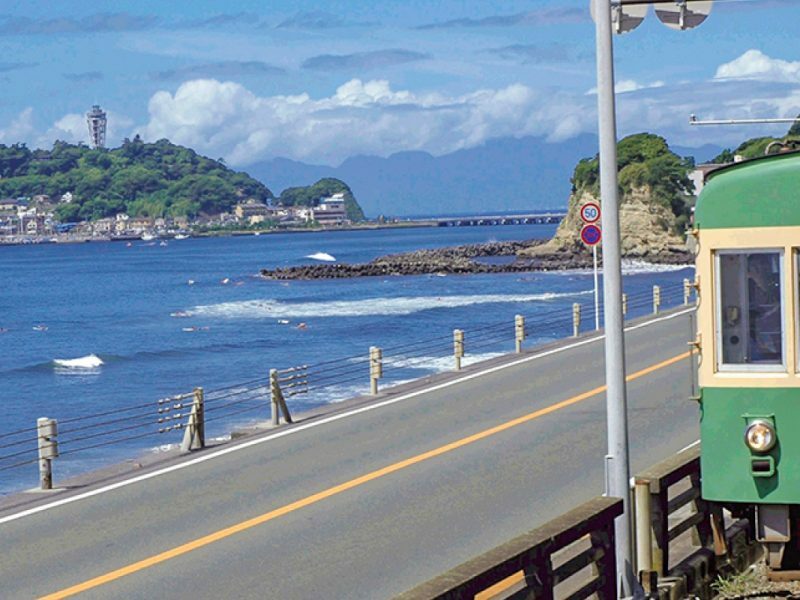 Japanese people have been travelling to Shibu Onsen for in excess of 1000 years, allowing this beautiful little town to legitimately lay claim to being the “real Japan” modern tourists come to this country in search of. While the public hot spring baths, or onsens, have been the drawcard for well over a millennium, the bonus is that the famous Jigokudani Monkey Park is within minutes of the centre of the village. 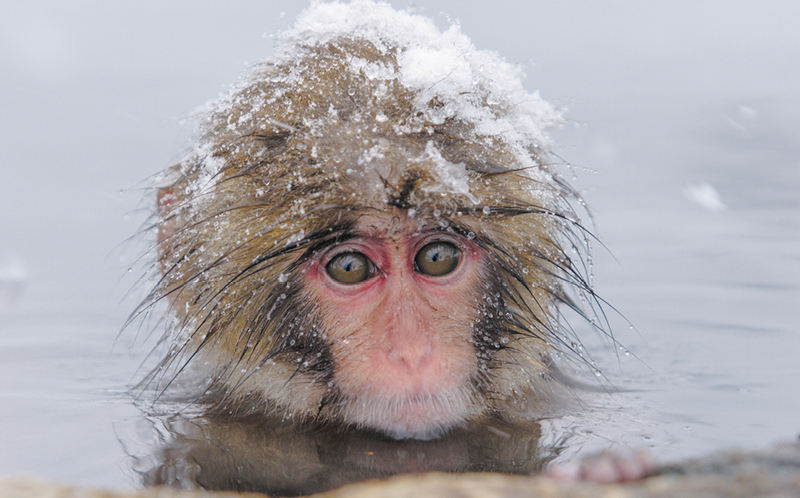 The enchanting sight of the Japanese macaque bathing in the hot springs is a fascinating experience whether during winter, which has seen them become referred to as “snow monkeys”, or during the warmer months where the monkeys carry on their playful ways, long after the snow has melted. Both the perfect retreat and authentic immersion into tradition, Kokuya Hotel Nagano is the pride of Shibu Onsen, known for its exquisitely crafted cuisine as much as it is for being the only accommodation in the area with its very own selection of 100% natural hot spring baths. Onyado Hishiya Torazō is located in Shibu Onsen, and is one of the most historical inns in the area that’s been operating for 13 generations. The building of the in is hundreds of years old, and will make you feel like you’ve slipped away to old Japan. There are two hot springs within the inn, each with different healing properties. The outdoor bath in the garden is especially wonderful, and it is available for private use at no extra. At the origami gallery right next door, guests can get a special cultural experience, learning how to origami with the 12th generation Torazõ. 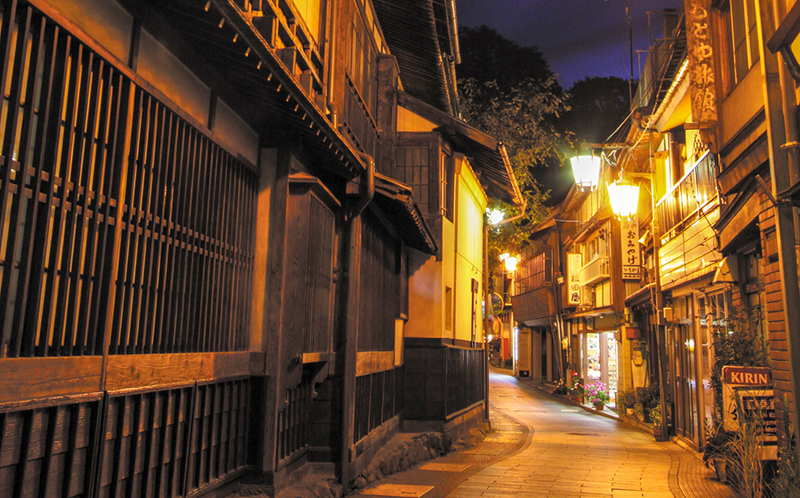 Suminoyu is located in the historic town of Shibu Onsen. Shibu Onsen is known for its nostalgic townscape with stone paved streets alive with friendly locals. 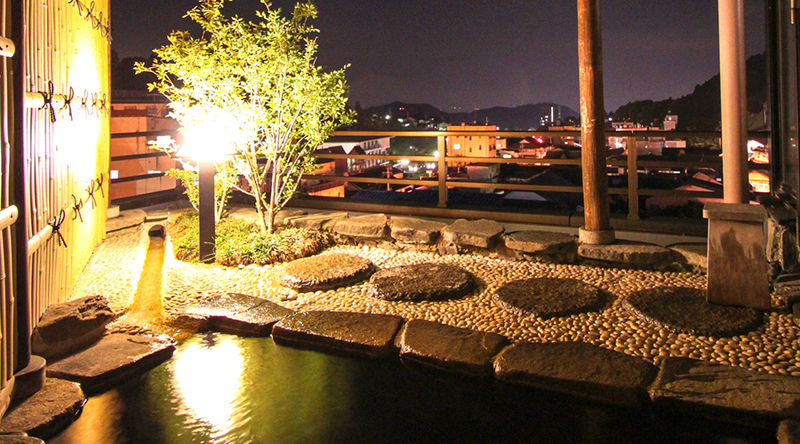 The town is also known for its many hot springs and Suminoyu is one of the oldest establishments here. 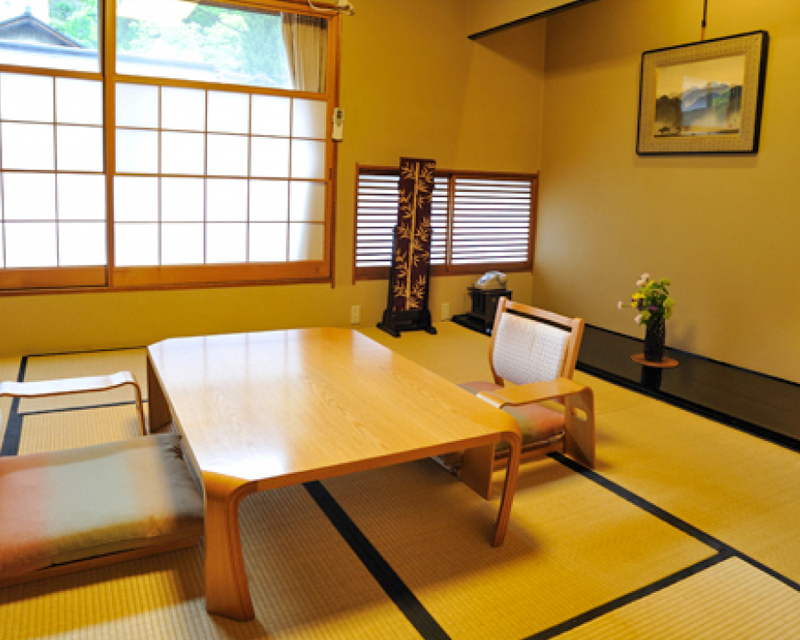 The accommodation is a traditional Japanese ryokan and it comes complete with its own natural hot spring. Suminoyu is located right near the popular Snow Monkey Park. Why not go visit the monkeys for the day and stay at Suminoyu for a night of exquisite food and a relaxing bath?